In nature Eucalyptus branches are known for their healing properties, especially when it comes to the respiratory system. For us crafting mimics these benefits; it gives us a chance to breathe and press pause on our busy lives and it heals our souls in the process. 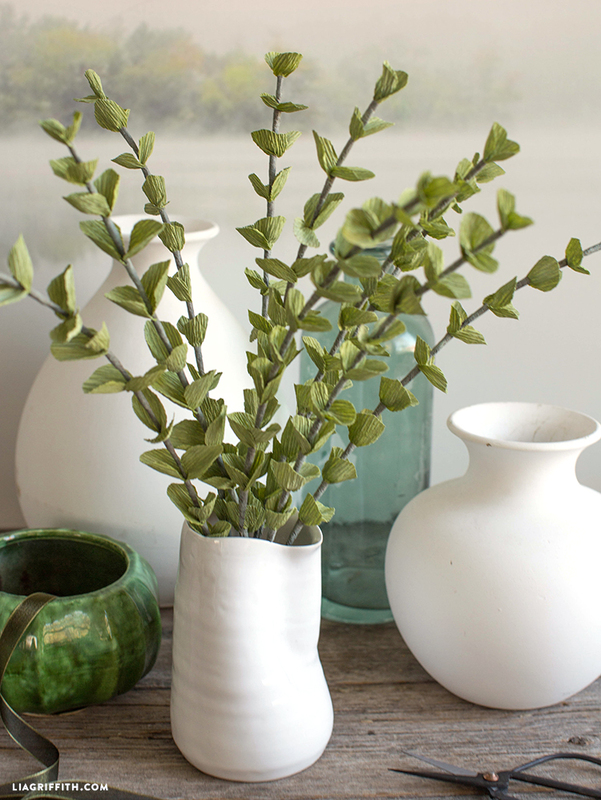 This project uses our very own heavy crepe paper. 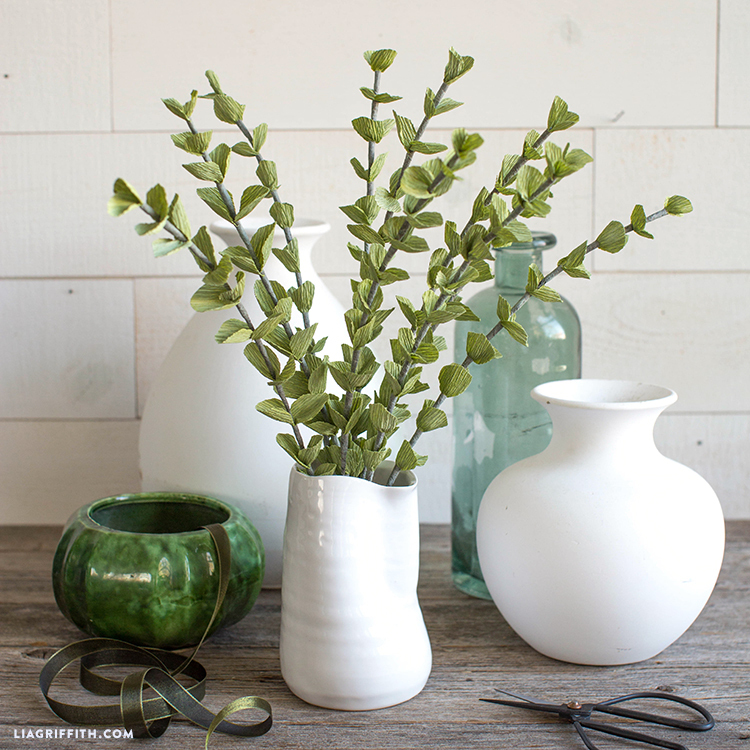 If you’d like to join us in adding this aura of peaceful craft to your space, just follow along with our stress-free tutorial below. 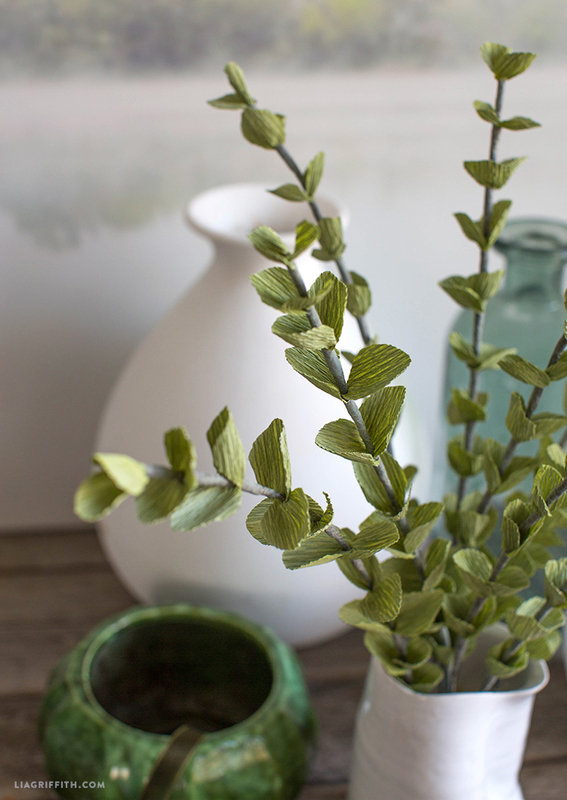 For an added benefit, spray the leaves with Eucalyptus essential oil when you are finished. All you have to do is crank up some calming tunes, take a nice deep breath and settle into your craft. 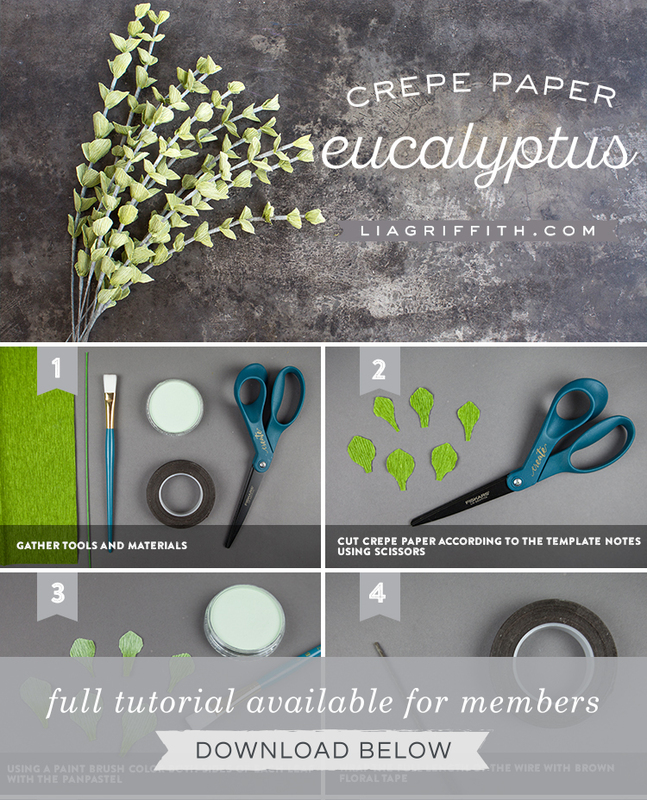 Cut the crepe paper according to the template notes using scissors. 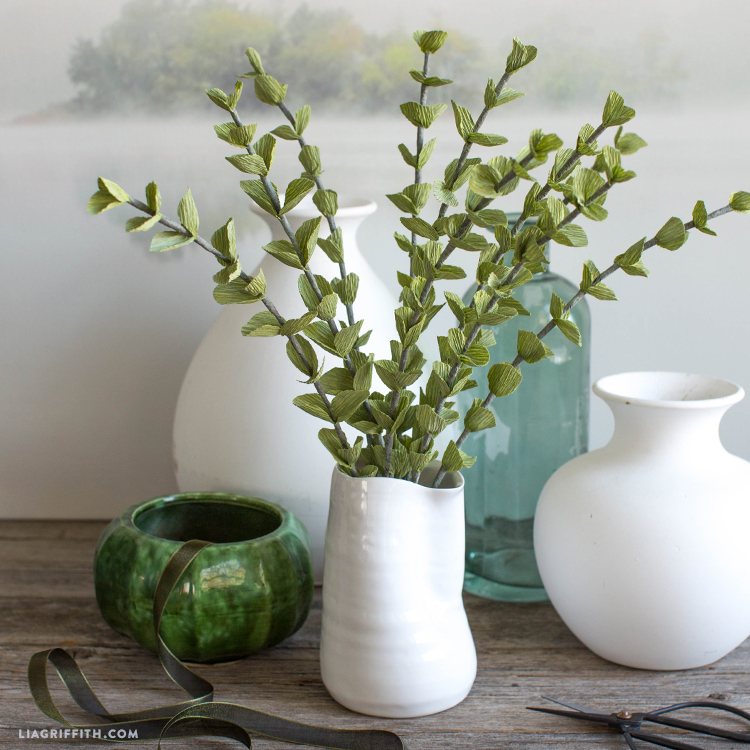 Using a paint brush color both sides of each leaf with the panpastel. 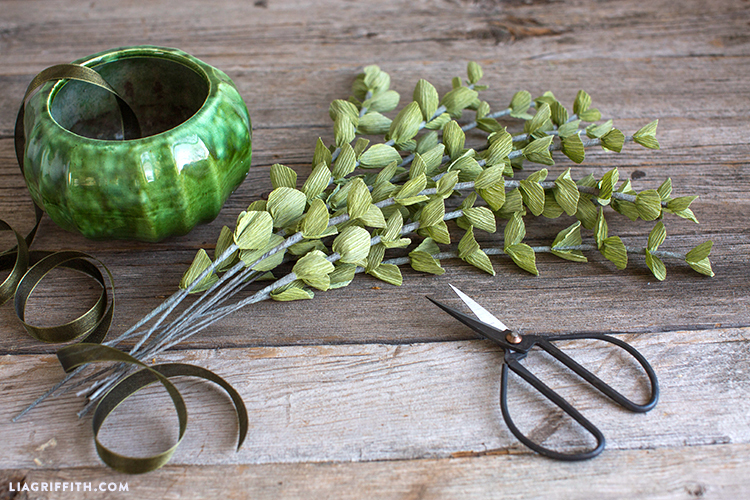 Wrap the full length of the wire with brown floral tape. I am using a Cricut Maker but have trouble with the rotary blade cutting all the way through. Do you have a recommended cut pressure for crepe paper? Love this! I cannot have eucalyptus in my house as I get pain in my stomach, then get nauseous anytime I smell it. With these I can have the look of it without the distress!!! Hi Laura! I just checked the SVG download and am only seeing the eucalyptus. Can you send a screenshot to hello@liagriffith.com?